Today I thought i'd share some gift ideas for her! In my family we have alot of birthdays throughout August and September and most of us are women so it gets abit crazy and I have lots of gifts to buy. 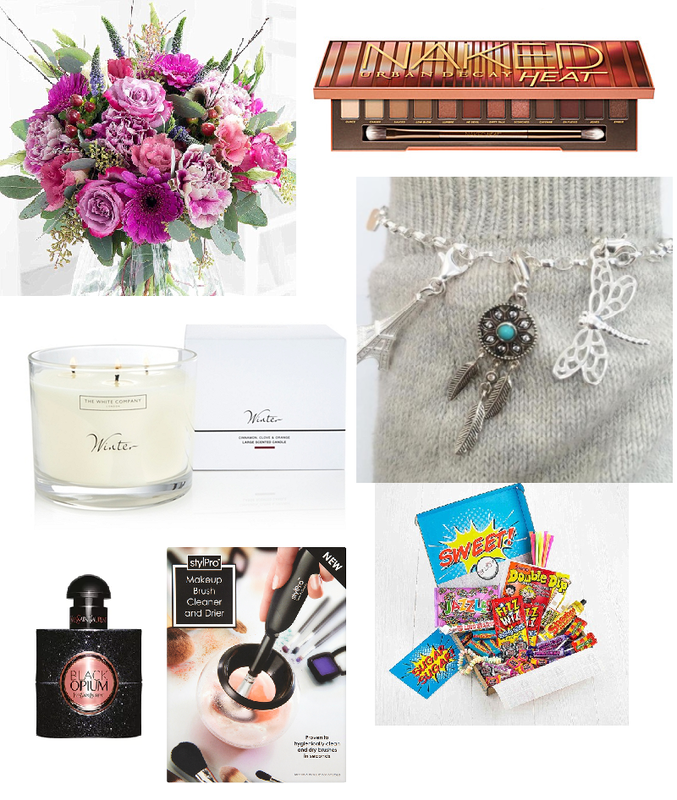 My birthday was on Monday so I thought it would be fun to put together a few gift ideas for her and include a few bits I actually got for my birthday aswell as some gifts that I would gift to my friends and family. First up is flowers! I love getting flowers and love having flowers around the apartment. I always buy flowers for my mom and sometimes for my friends and family. If my mom is working I will usually order flowers to get delivered to her work, You can find some really beautiful flowers online at Flying Flowers they have a huge selection of bouquets for any occasion. They offer free standard delivery or you can upgrade to guarantee delivery. I just search for 'lilies' as they are my moms favourite and it brings up lots of amazing bouquets full of gorgeous lilies. I really want the Naked Heat Palette and think it's such a good gift idea for any beauty lover. You get 12 really decent size shades and they are colour's that would suit most people as there's some gorgeous brown/natural shades. 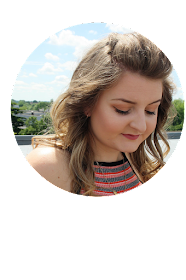 I already own a few of the Urban Decay palettes and they are my favourite eyeshadows. The quality is amazing and worth every penny. You can't go wrong with a candle. Whether you opt for a cheap supermarket brand one or go for something more luxurious like the Winter candle from The White Company. I love the candles from TkMaxx and would recommend checking them out if your on a budget but want to get a gorgeous designer candle. I have a charm bracelet from Thomas Sabo which i've had for a few years. They are such a good gift idea as you can buy so many different charms for them. The bracelet wasn't very expensive and the charms vary in price but start at around £20. Clint got me a gorgeous heart charm for my birthday and had it engraved which was so thoughtful and it was my favorite gift. My mom also got me a little pink baby-grow charm which is super cute! Perfume is also a good gift idea, again whatever budget you have you can find something for everyone. Next do some really good fragrances and you can usually get a good deal if you go to places like Bodycare or Savers. If your after something more expensive then check out YSL Black Opium, it's my all time favourite perfume. I've had a few bottles now and it's just such a gorgeous smell. I was so excited when I opened up my new stylPro brush cleaner. It's an electric brush cleaner that dramatically speeds up cleaning and drying your brushes. If you've not seen one before then check it out. I've used my sisters before and it's amazing, I can't wait to clean my brushes. Finally I love getting sweets and chocolate for my birthday and I spotted this retro sweet hamper on Flying Flowers and it's such a cool idea. You might be struggling what to get someone, maybe you have a friend or family member that lives across the country and you don't know what to get them, you can have this sent straight out to them so you don't have to worry about paying extra for delivery and they get to eat lots of yummy retro sweets, they also have lots of other hampers to choose from. Have you got any birthday's coming up? Is your family like mine and all the birthdays are bunched together or do you have birthdays all through the year? What gifts would you like to recieve for your birthday this year?